The truly do go with anything. It's hard to believe the fashion and fine jewelry industries are just getting around to really embracing this idea. What I mean is, I think these industries have tried (on many occasions) to 'bring forth the pearl', but as a whole, most people still see them as 'stuffy', snobby or classic and all 'prim and proper'. I believe they go with anything, on anyone, in any season and for any reason. Because I love them so much the thought never crossed my mind that they couldn't look great in any type of design or with any type of material. 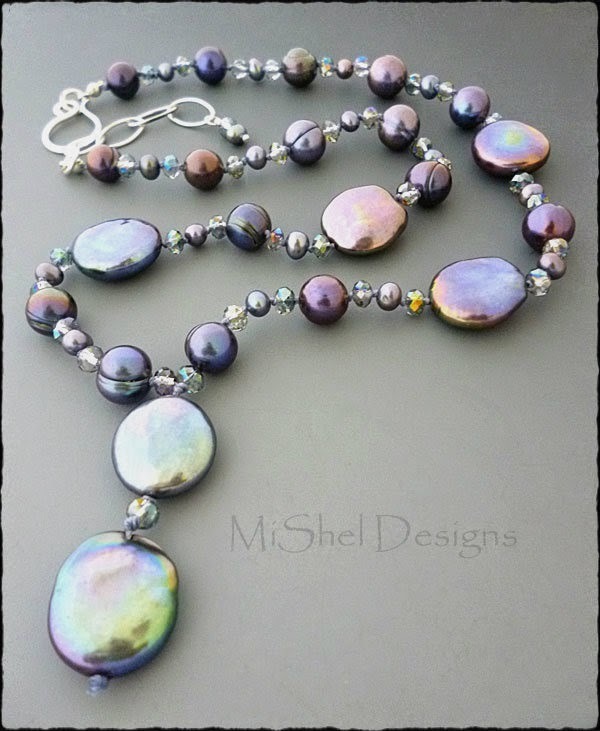 Pearls are such a passion with me that I feel that it's part of my 'life's mission' to spread the word about them and show people how wonderful they are. I'm glad I'm hosting another Pearls! Pearls!! Pearls!!! Blog Hop. 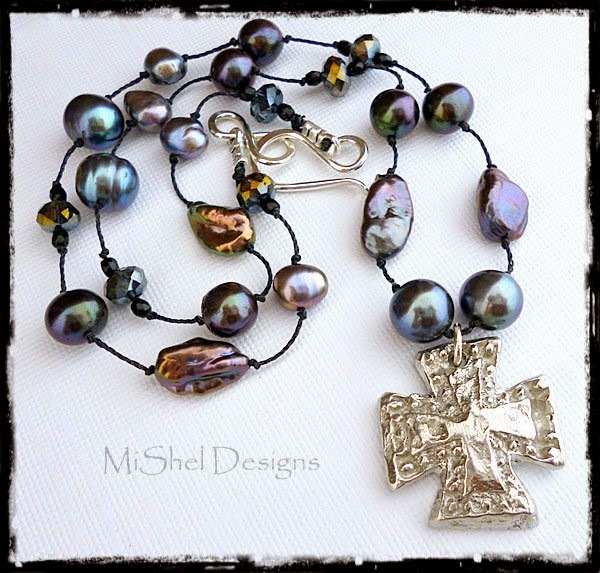 I think the craft / handcrafted artisan jewelry industry already has the whole 'pearls' thing pretty much figured out. 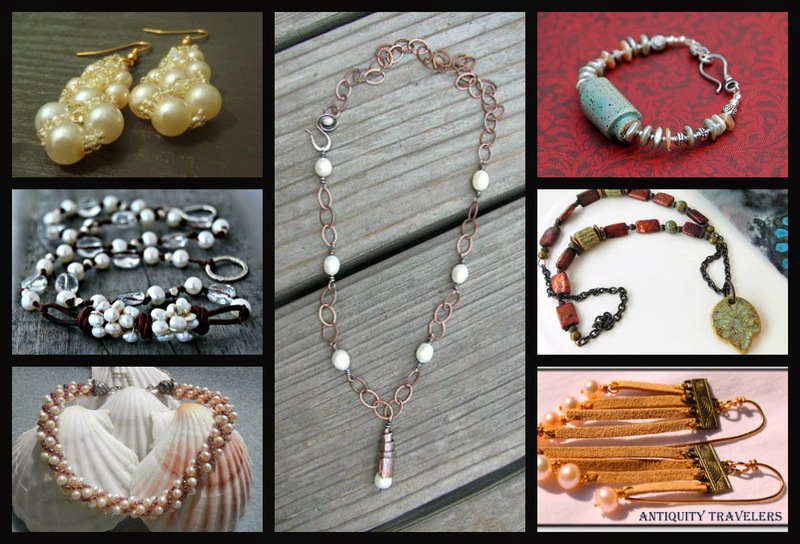 I see so many of my fellow jewelry artists using their pearls with such a variety of materials and in so many unique and different ways that it makes me feel all tingly inside. Pearls! Pearls!! Pearls!!! Blog Hop in September 2013.
and see all the Gorgeous Designs posted that day. 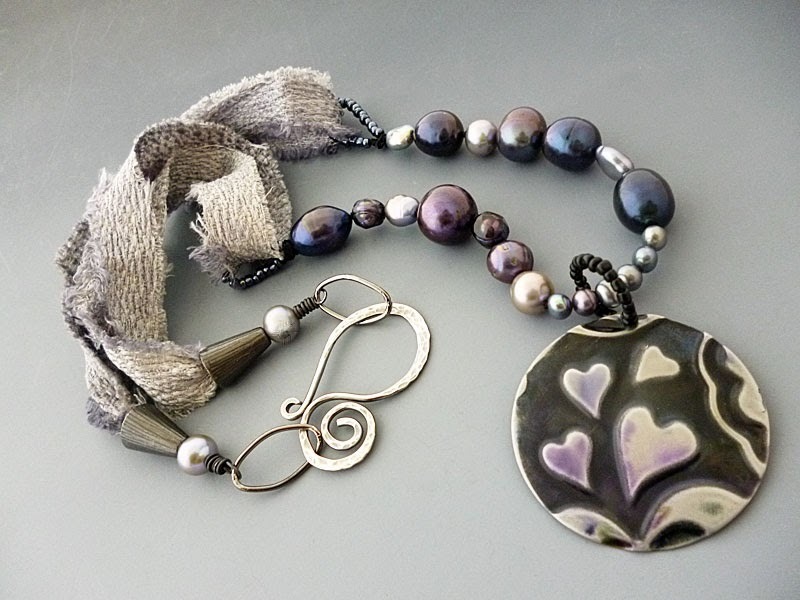 reveal date is June 29th, which gives you a little over a month to get your pearl mojo on, so if you'd like to join in the fun this go-round, hop on over to the info posted HERE and read all about it. Or, just come back here on Sunday, June 29th, and link up with all us 'Pearly Peeps'!! 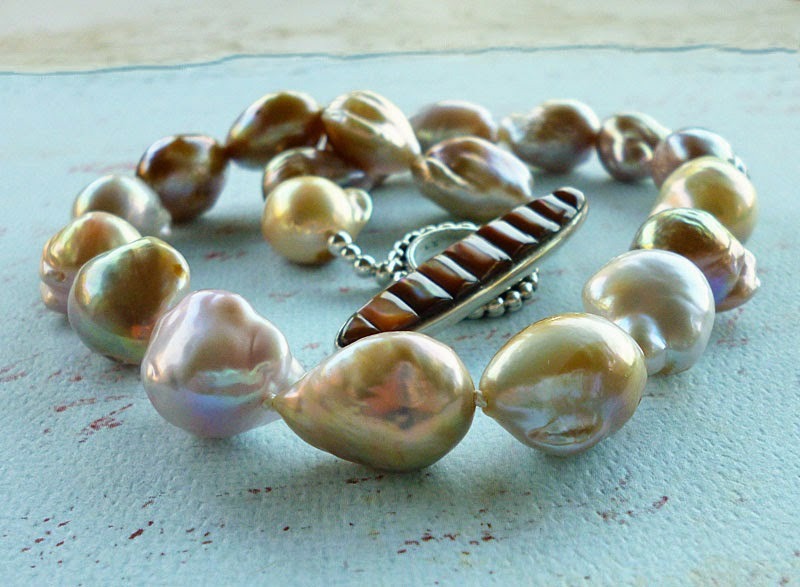 Your designs with pearls are simply fabulous! When you posted that first necklace pic on FB, I about fell off my chair! So beautiful! Thanks so much Patti!! I hope my friend likes it to - it was made as a special Mother's Day gift for a very dear, long-time friend! You have a happy and safe holiday weekend too. I'm up in the mountains so hopefully these comments will post! Our internet up here is rather spotty at times! 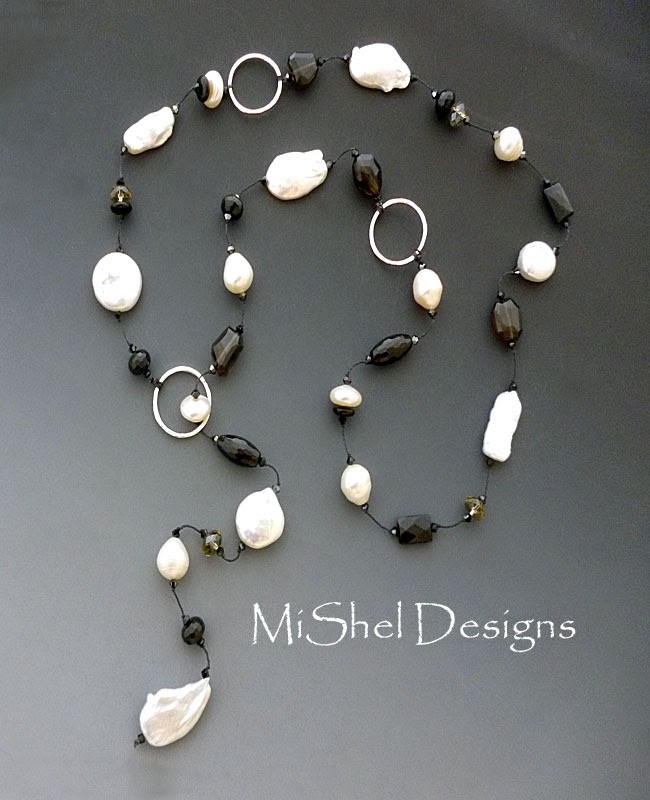 Hi Shel, What a varied and unusual collection of pearls you have for this post. Also could not help noticing the looped earwires in that last photo. Would love to see how they look warn on actual ears... beautiful design!!! Please sign me up for the hop on June 29! You're in Lisa!! Thanks for joining us! 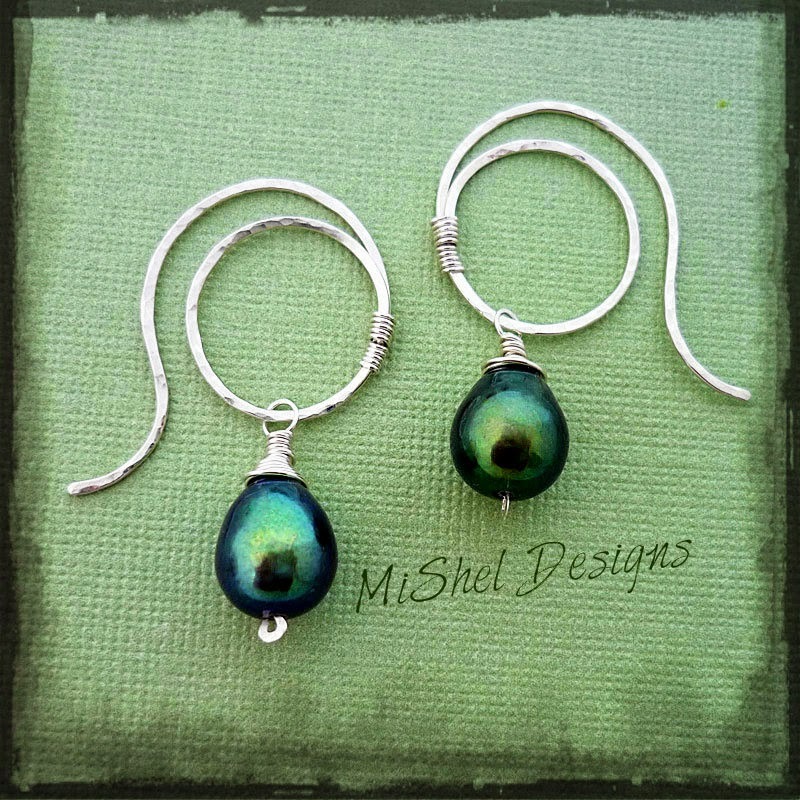 As for those earrings - I need to make more because people always comment on those. 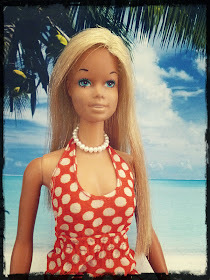 I would show them on a model, but they already belong to a client - we should have gotten a pic of her in them!! I'm excited too!! And, you're welcome! 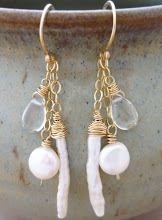 Love those earrings!! 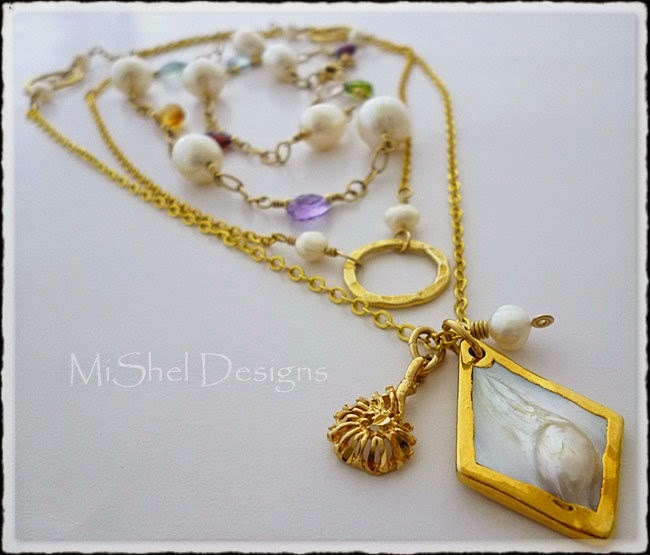 As much as I love your design style with pearls, your photos of the jewelry are what really get me. Feels like I can almost reach out and touch them! The colors and luster are fabulous. 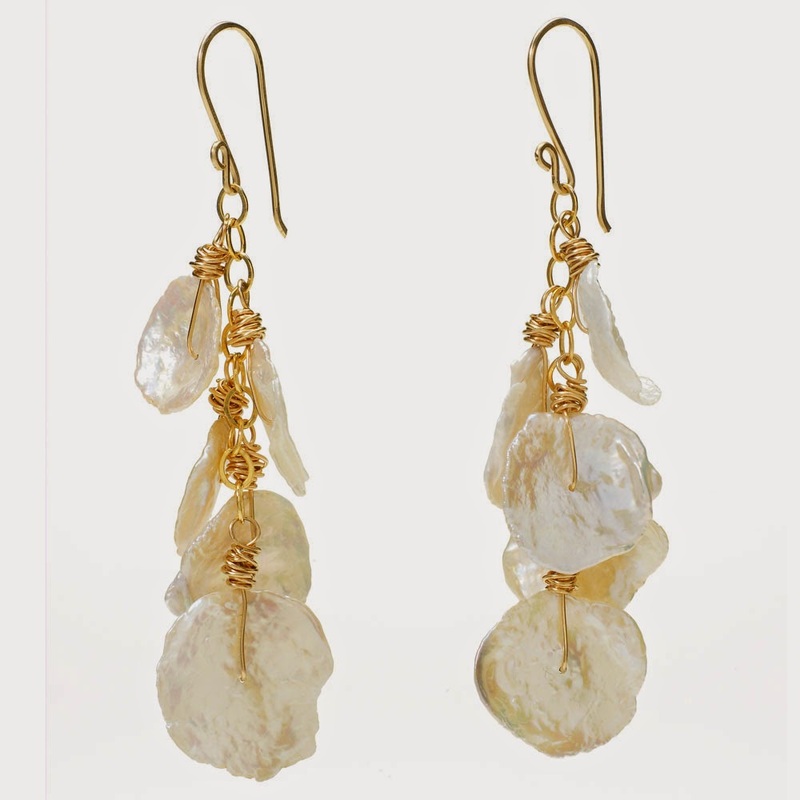 Your pearl designs are so beautiful. 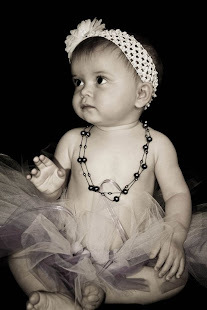 I have always loved pearls but not used them much. You're an inspiration. Thanks Ema!! I'm here any time you need anything to do with pearls - just ask!! 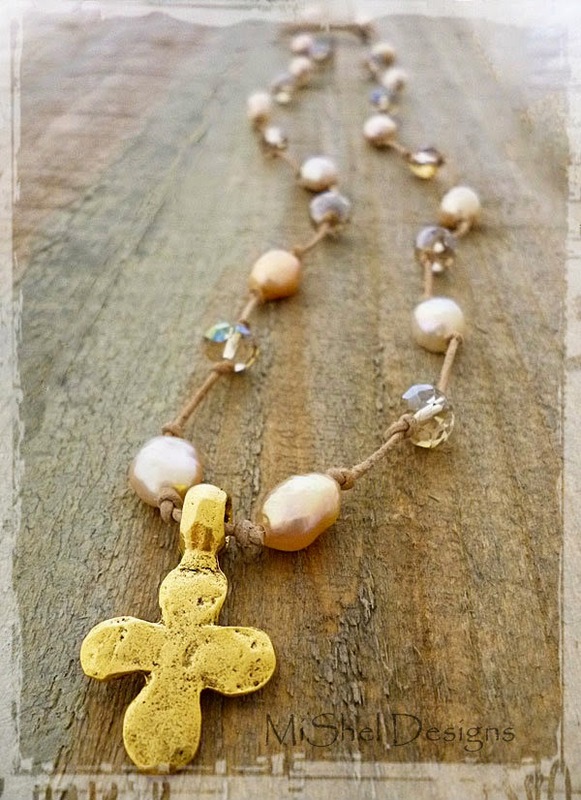 I agree pearls are awesome and go with anything! All of your designs are gorgeous. I am looking forward to the hop I have ideas running a muck in my head just need to get designing. Oh yeah, Therese - I love hearing people say they have pearl ideas running a-muck in their heads! :-) True Bliss to my ears! !